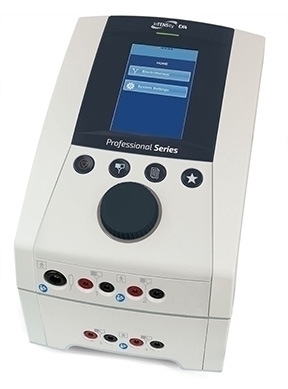 The InTENSity" Professional EX4 is an advanced four-channel multi-functional electrotherapy system offers the practitioner a wide range of treatment options in one user-friendly, ergonomic design. The multi-patient function allows the ability to treat up to four patients at once. Four channels of independent stimulation can be used in combination or individually and there are independent intensity and parameter controls for each channel.